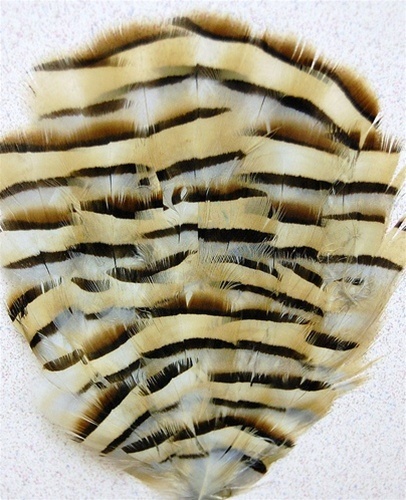 Pheasant Grouse(Chukar) Pad. A very Nice Light Brown with some black Stripping Pad. 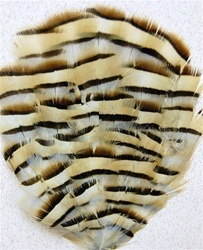 Very popular for Millinery, Headbands, Crafts and various other acsesories. Sold by the DOZEN only.